Green Power: Incorporate renewable energy technologies. Creating sustainable buildings starts with proper site selection, including consideration of the reuse or rehabilitation of existing buildings. The location, orientation, and landscaping of a building affect the local ecosystems, transportation methods, and energy use. Incorporate Smart growth principles in the project development process, whether it be a single building, campus or military base. Siting for physical security is a critical issue in optimizing site design, including locations of access roads, parking, vehicle barriers, and perimeter lighting. Whether designing a new building or retrofitting an existing building, site design must integrate with sustainable design to achieve a successful project. 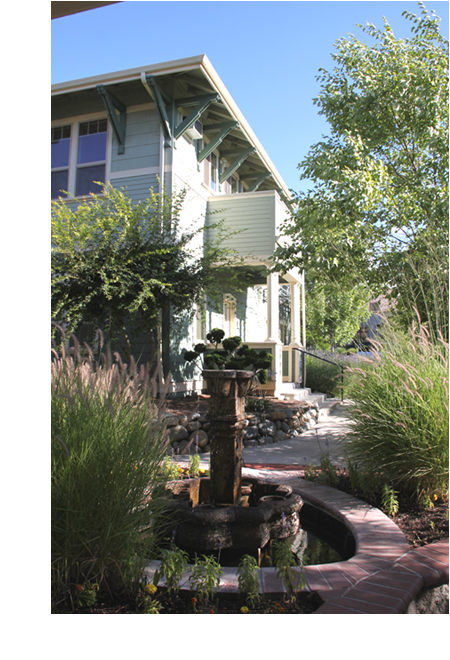 The site of a sustainable building should reduce, control, and/or treat stormwater runoff.